MDC FedEx Supply Chain made their first appearance in the Canadian Corporate Soccer League (CCSL) this summer. After experiencing some minor troubles during the pre-season, the players had to learn the hard way what it means to play in the Division 3. A newly opened trainings pitch close to the FedEx facility could be the game changer for the years to come. The debut season of MDC FedEx Supply Chain did not turn out the way players pictured it. With only three points in the course of the 14 match days, the team ended up in the cellar of the division. Team captain Tien Viet Nguyen, believes in his players ability to adjust to this level of playing and that they have their place in the league. "Since it is our first season, we are a work in progress, we are improving our game", said Mr. Nguyen in an exclusive interview with the CCSL. "But at the same time, we had a lot of fun together every week. It is a great thing to get to know each other outside of work." Mr. Nguyen is one of the driving forces behind MDC FedEx Supply Chain. When the company started to encourage their employees in a healthier lifestyle one year ago, he came up with the idea of creating a soccer team. "The organization process was actually easier than I thought it would be", admitted Mr. Nguyen openly. "FedEx is a fairly big company. That is why we were able to convince 60 people right away to join our new team." 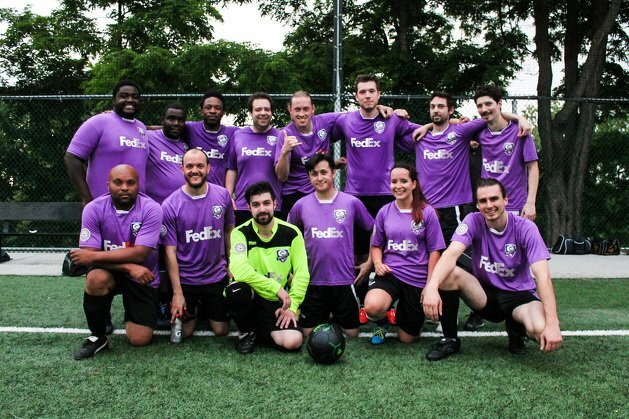 After only playing a bunch of friendly games last summer, MDC FedEx Supply Chain decided that it was time to get more serious. 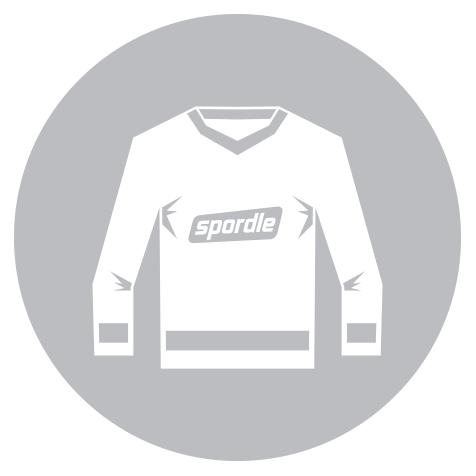 By getting a starting spot in the leagues entry-level Division 3, the players in the dark purple jerseys finally found a new challenge. In order to keep up with the more experienced teams in the league, MDC FedEx Supply Chain tried to follow a rather unconventional approach throughout the season: switching captains every game. "We all came to the conclusion that we want to share the responsibilities on the pitch across several shoulders. Everyone has to do his job, otherwise we cannot be successful", said Mr. Nguyen, who is a firm believer of team-work. As a first experience, Mr. Nguyen sees their inaugural season in positive light. Although the first season did not end on a high note, he has no doubts that the team can play a better role next year. "Of course, we have a long way ahead of us. If we want to close the gap to our competitors, we definitely need to increase our team organization. But I also know that we were missing some practice sessions", said Mr. Nguyen. In order to find the right rhythm for next year’s summer season, he agreed, the players need to get together more often on a newly opened training pitch close to the FedEx facility in Montreal. Eventually, this might be the game changer for MDC FedEx Supply Chain in Division 3. We wish you all the best for your future seasons, MDC FedEx Supply Chain.